The Cadillac XTS for Sale in Lynnwood, WA from Carson Cars is a luxury crossover sedan that is designed to set new standards in terms of style and performance. 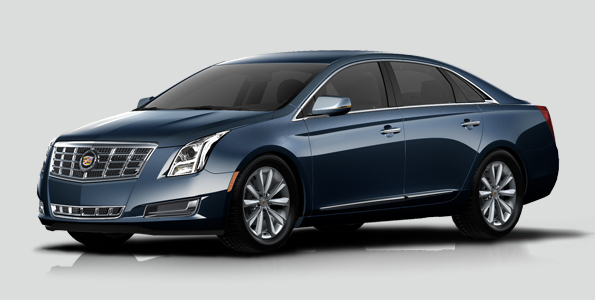 Creating the perfect mix of power, precision and comfort, the Cadillac XTS has everything that you could expect from a top of the line vehicle. With a starting price of $44,000 for a sedan, many people are going to raise objections regarding the enhancements and changes introduced by Cadillac in to one of their flagship models, however it can be said that the XTS does more than enough to justify its noticeably larger price tag. The Cadillac XTS full sized luxury sedan brings a host of changes in all aspects of the vehicle. It is now powered by a 3.6 L direct injection V6 engine that is capable of producing up to 304 hp, which gives the vehicle blistering speeds. The Advanced Suspension Technology as well as the Magnetic Ride Control systems just enhance the vehicle’s overall performance while driving, providing extra stability and traction to ensure in line driving without much swerve. The Brembo Brakes 4 provide you with maximum braking power as well. The Cadillac XTS features a fully hand cut and sewn interior, with a tri zone climate control system, a parking assist system with a rear view camera as well as a navigation system. The car is fully powered with voice control commands, and the adaptive remote start feature allows you to start the car and pre heat or cool it before you even get in. The internally ventilated seats just provide you with maximum comfort. The 16 speaker Bose 5.1 surround sound system makes sure that the sound quality is unparalleled. The Cadillac XTS for Sale in Lynnwood, WA from Carson Cars is a real beauty.